The following is the list of talent whose comments made the final cut of the 2-hour CM Punk: Best in the World DVD and Blu-ray documentary (pre-order). Order the Punk DVD :: Amazon US. Silver Vision UK. Shock Australia. 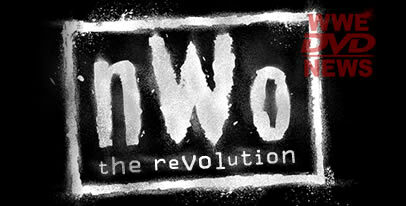 nWo: The Revolution on Blu-ray will contain approximately 1 hour and 48 minutes of exclusive material. This is made up of the nWo Legends of Wrestling roundtable discussion which runs just under 1 hour and 15 minutes, plus additional extras of 34 minutes. For release info and to pre-order the nWo DVD or Blu-ray click here. Is the Pipe Bomb interview on the Dvd? I hope so. Yes, the full thing is shown in the documentary. If you want the contract signing between Punk, McMahon and Cena its on the Best of Raw and Smackdown 2011 Blu-ray on Disc 2 as Blu-ray Exclusive, I guess they didnt add because they want more buys with the best of raw and smackdown blu-ray or to avoid repetition but that hasnt stop them in the past, no biggie for me, if you want the Summerslam Contract signing before Summerslam 2011 you have to get the Summerslam 2011 Blu-ray as it has raw highlights before the ppv and thats included as a exclusive!! Do they include the action from the ECW Match with Credible went it went to ad breaks? Can you tell me if they included the promo where Punk Returned to raw 2 weeks before mitb 2011 and cut a promo with his white microphone and when cena came out he said a funny saying ” Im afraid your music is too loud sir” that was pretty funny? hope they include that!! They did the same for Angle vs Lesnar Iron Man match…they don’t match the fade to black during commercials, the complete action is shown, just no commentary. I read that Paul Heyman did some alternate commentary on some of the matches with Punk. Is that true? You can tell he did get to pick a lot of what he wanted in his DVD because it would have dumbasses in like Brodus, Santino and Otunga who shouldn’t be near this.I bet he told them to name him as Chris Hero and not his FCW name as well. Wonder if Punk asked HHH to be in the DVD or did HHH just stick his big nose in it? I’m surprised they listed him as Chris Hero instead of Kassius Ohno. I’m surprised Punk wanted The Miz in his documentary. The Who Is Who of Jobbers! Jobber depending on what company they’re working for. Colt Cabanna may be a jobber in WWE, but I’m pretty sure he’s been World Champion in other indy companies. Jobbers still make more money than you. And plus they are living their dream. Wrestling is a work , get with the program! Since when do Indy guys make good money? Only a select few can make a living at it. He has been, but being NWA World Champion is essentially meaningless these days. Yeah. Because it would be much better to have random “main eventers” talking about a guy instead of his real life friends and people that know him the best. I don’t care, if they are Punk’s friends or not. I don’t want to hear from these nobodys. Don’t want them on my TV, that’s all. Won’t buy this. So why are you reading info about this dvd if you’re so dead set against him. Genius. Or dumbass. What a Sado, i aint guna buy this dvd cause of nobodys on the dvd talking about cm punk life, What is wrong with you ? These are Punk close people and close friends, they havent been on dvds before it gives a unique fresh look and imput from them, these are the people that have meant the most in Punk Career, Who the F is Cena to Punk or HHH, do you want Santino talking about Punk Life in kayfabe with his retarded accent he puts on or Brodus Clay talking Funky about Punk Life where in reality Punk never has & will care bout Brodus, I rather have these nobodys that you say talk about punk life as it gives the realistic and genuine feeling, I know your entitled to your opinion but if you ever said this to Punk face he will tell you otherwise, If you talk about something on here you need to say something that will get backed up otherwise you just guna get ripped apart!! And no, they aren’t making more money than me.